Residents and businesses in Rangely and Meeker are starting to feel the speed of the Rio Blanco County Broadband Project. The network is now offering fiber connectivity to the northwest Colorado towns. In just three years, Meeker and Rangely have gone from having a single choice for limited bandwidth internet to multiple local companies offering some of the biggest bandwidth packages available in the nation. Subscribers have the option to choose between two providers which are offering services via the open access infrastructure. Local Access Internet (LAI) and Cimarron Telecommunications are both local providers that began offering wireless Internet access to subscribers before the project commenced. LAI also offers technical troubleshooting for PCS, laptops and cell phones. Both companies offer symmetrical Gigabit Internet access (1,000 Megabits per second download and upload) for $70 per month. They match each others’ prices on two lower tiers also: $40 per month for 25 Mbps download / 5 Mbps upload and $55 per month for 100 Mbps download and 25 Mbps upload. Cimarron and LAI still offer fixed wireless packages. We spoke with Bob Knight at Cimarron who told us that the 100 Mbps / 25 Mbps tier was the most popular with their subscribers, who are often families that run multiple devices simultaneously. While businesses are requesting the service, residents who have had little options except expensive and unreliable satellite are clearly hungry for better Internet access. Bob was quick to point out that he expects the network to be an enticing economic development tool in Rio Blanco County. He says the quality of life is already good there and pointed out that there is ample hiking, fishing, biking, and other outdoor recreation. With high-quality Internet access, he hopes to see more entrepreneurs and families looking for clean air and beautiful country. How Did They Get To Here? 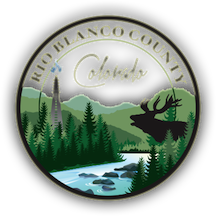 In 2014, Rio Blanco County voted to reclaim local telecommunications authority, which the state legislature took away in 2005 when it passed SB 152. Shortly after opting out of SB 152, the county began solidifying plans to deploy its network. They decided to commit federal mine lease revenue and money from the general fund to finance the project. The Colorado Department of Local Affairs (DOLA) also provided funding and some local Community Anchor Institutions (CAIs) are contributing to the project. The county is building fiber infrastructure to the block in Rangely and Meeker and providers such as LAI and Cimarron will finish the build-out to each home or business. In the rural areas, the county's going to build tower and wireless infrastructure to serve rural subscribers. The ISP will provide the last-mile wireless service down to the home or business. For more on the project, listen to Christopher interview Blake Mobley for Episode #158 of the Community Broadband Bits podcast.